Most hairstyle guides are catered towards adults, causing styling for younger children to be untended to. However, young boys can be equally trendy when it comes to sporting certain hairstyles! Just read on and you’ll see all the different hairstyles that boys can get! To be more specific, we are going to be focusing on how you can style a young boy’s short hair. In this article, we will be reviewing 60 short haircut and hairstyles for Boys. Actually, most hairstyles that are applicable to grown men are also applicable to younger boys. Your toddler could look just as charming, and a teen can rock a sporty look with the hairstyles that another man uses to go to a business meeting. Here are some of the most popular types of short haircuts that boys & teens can style for their next hair stylist appointment. Following a celebrity’s footsteps can’t go wrong. To start this list off, let’s take a look at some of the hairstyles that celebrity boys have rocked. The long fringe on this boy is swept back, putting the focus fully on his face and outfit. This style makes him look a lot neater and even elegant in some ways even though he’s still so young! Whether or not you’re a Harry Potter fan, you will definitely know Daniel Radcliffe. This look might have been from many, many years ago, but this short hair look is still one of the most common short haircut styles that you will see being sported. Simply gorgeous, isn’t he? Romeo sported a tousled spiky look with his fringe swept upwards while he was promoting Burberry’s products in this photo. Bangs are not just for girls! Here are some short haircut styles that are simply banging for young boys. Some may frown at seeing young children with their hair bleached and dyed, but this is actually okay for kids as long as it is done with all the right measures. Get some short fringes on! If your bangs are not so equal in length, you can adopt this hairstyle. Heads will turn when your young boy or teen sport this trendy look! If you’re looking for a simple hairstyle to go for wit ha short haircut, this could be it! With bangs, you just need to sweep your hair and bangs towards the front and you’re all good to go. Even if you have short hair, you can still keep longer hair at the top. This can be done by keeping an undercut, in which your hair is parted after the lengthy top parts. The sides and back are cut very short, almost like a fade. Look smart with this long fringe up front swept to the sides perfect for young kids. The hair parting might not be obvious, but that undercut-paired hairdo will look good paired with a formal suit and a tie! Just because your top is long, it doesn’t mean that the sides need to be spiky and short on both sides! The hair at the sides can be kept smoothened down and at a medium length, and you can have your undercut look more obvious on the other side. This casual look will appear much more natural, blonde or not! This classy short haircut is awesome for little boys! Let’s face it – kids are rarely ever going to be anything other than messy. Turn their mess into a trendy look by leaving their fringe just long enough that it will not get into their eyes. Let them play, and the hair will get into an acceptable messy look soon after! The undercut at the sides will appear as a good contrast. When you don’t want to care too much about your hair, you can go for a tousled look. While most of us need to run our fingers through our hair to get a good tousled appearance, kids tend to get this look easily as they go about their day! 10. Tousled & Rockin’ It! It’s easy to make this style – you just try to gel their hair neatly and let them go out to play. They will return with a tousled look afterwards! Alternatively, you can give them an intentional tousled look by applying some gel and running your fingers through your hair. The sides can be smoothened down to balance out the messy look that a tousled top can give you. The easiest way is to brush the fringe at the front upwards! Even if you want to keep short hair, you can give an illusion of having long hair just by keeping the fringe and sides a little lengthier. Keep your long fringe a little tousled for a natural looking hairstyle! When it comes to bangs, you can also have side bangs! There can be many variations of bangs after all, but here, let’s start with 3 styles that can help you get an idea of what long side bangs look like. If you keep your side bangs long enough, you can slide your side bangs behind your ears! This is the most natural long side bangs look for straighter hair. If your toddler’s hair is curly, you probably don’t need to take any extra measures for your side bangs to stay away from your ears. Most of the time, your hair will naturally curl outwards. If your fringe is slightly long, you can frame your face with your fringe and your side bangs. This hairstyle in particular is very suitable for toddlers! A textured hairdo needs to use plenty of hair gel to keep you looking sharp. Here’s how it can look! You can style a crew cut such as this one with a small quiff at the top. The laid-down spikes will give your hair a textured look. When your kid’s hair is really short, it can have a textured look if your hair is naturally slightly curly. There’s no maintenance other than cutting your hair for this one! This short hairstyle for kids is really adorable! Comb your hair up all wavy, and finish your look with a comb-up at the front. The wavy result will add on to the textures easily. For some reason, most young boys love having a spiky hairstyle. Is it because of their rebellion phase during puberty? No one knows! Here are some short haircut styles featuring a spiky hairdo! Here’s how you can achieve this look hairstyle on your toddler – Have some gel on your fingertips and pinch parts of your hair with it. The gel will hold your hair up in a spiky look! For some of us with hair of a softer nature, even the strongest hair gel cannot give us straight spiky hair. So we make do, and form the spikes in a downward direction. Get your spikes game on with the classic spiky hair look! The spiky parts could be strewn about instead of being focused on one direction only. When you want your haircut to pop, you use razor shaving lines. These barely needs any explanation! Even if you find yourself having trouble expressing that you want this kine of lines, all you need to do is to show your hairstylist a picture. Here’s a few razor shaving lines that goes a little beyond the norm. Get some unique razor shave lines by having not one, not two, but four of them perfectly lined up! The neatly-trimmed hairlines also add on to the overall neat look of this haircut style. Sometimes, you want patterns on your razor-shaved line, but you also don’t want it to be too complicated. That’s where simple patterns like this one comes in! A straight line here, a curve there, an intersection right in the middle. Perfect combination! You’re looking at a combination of 3 hair components in one hairstyle – a line up, a curved razor shave line and a high fade to match. All paired with curly hair! That’s quite a stunning look, isn’t it? When it comes to pompadours, you are basically combing all your lengthy bits of hair upwards. Here’s how pompadour can look with short hair on young boys. This pompadour hairstyle features layered swept-up hair that gives an extra textured look. Heads will surely turn at the sight of this unique short pompadour hairstyle! We love this short haircut for boys. If you think that your pompadour is not bringing you enough attention or contrast, you can pair it up with a clear parting! To enhance this effect, you can shave a thin line at your parting. Just like the section above! Yes, this is a simple pompadour style too! Even though the hair at the back is quite short, you will find that a pompadour gives an illusion of really high volume hair. Just as long as the tips are curved backwards, you can create this effect. Let’s take a step back and go back to basics. Short haircut styles, right? Side partings are one of the easiest methods of styling your hair! Your hair parting can be really obvious, or barely there. Here’s 3 examples. This is the most natural hairstyling that you can get when you want a hair parting. It pretty much just requires you to part your hair with a comb. Then, all you need to do is to make sure that you comb the lengthy parts neatly and you’re already good to go! If your kid don’t have thick hair, that’s fine too! You can get a hair parting similar to this one. This style combines a comb-over with a hard part. In fact, this kid probably has a razor line shaved to get this look! Even if the hair does not look thick, it still appears just fine. Adults might not be able to get away with a near-center parting, but kids can! Rather than appearing like an old man like how it does to most of us adults, this hairstyle can give a really neat appearance to kids sporting it. At times, your kids’ hair barely needs any maintenance beyond a trim here and there. Here are a few natural-looking short haircut styles. 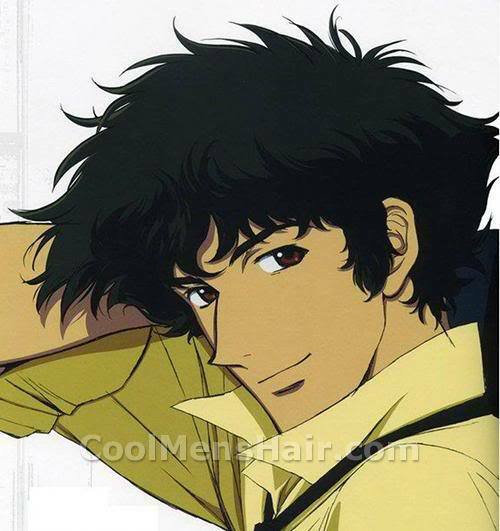 Curly hair can look good just as it is even if you just leave it to grow naturally. Loose curls are the best option for this! If you grow out some ends of your hair and just leave the house after waking up, this is how you might look like. When you have thick hair that you let grow out naturally, you will find that you have yourself a natural textured look. It works best with short hair that has been grown out juts a little. Do you remember when you were in a rebellious phase and you find some mohawk styles cool? Here’s 3 of the styles that you can refer to. The mohawk style here is only extended to the longer front areas. This style is not as contrasting as a mohawk that extends all the way to the back. You can achieve this look if you gel your hair away from your scalp. This one also features a bleached or dyed color as well! Sometimes, a simple mohawk simply won’t cut it. This style features a neat line-up with a patterned razor line. Some of us have hair that is a lot thicker at the top. Here’s how you can look with this style! You see this style a lot on the streets, in the mall or anywhere else. This is basically a natural look with a trim every once in a while. If you want to show off your long hair at the top, you can use this style. It has three contrasting layers – long top, middle tapered part & cleanly-shaved at the bottom. This is a style that most toddlers can go with! You can comb down your hair neatly to produce this look. Nothing complicated! Line-ups are the neat hairlines that you see in the photos below. You can use these to create a super clean and contrasted look! You’re looking at a medium fade, with curly hair up top and a neat line-up. There’s also a razor line to match! This classic pairing of a line-up with a razor line can suit any kid! The comb over hairstyle acts as a good bonus here as well. Your line-ups can be paired with the most basic comb-over. With short sides, this can give you a neat appearance! Long fringes can look good with a short hairstyle! Usually, this style helps to frame your face a little. If the classic Japanese animation series ‘Astroboy’ was in your childhood, this hairdo could remind you of it – except it’s blonde. We love this itlle boy’s hairstyle. Normally quiffs are extremely tiny, just a small flick at the edge. This one definitely wouldn’t get into your eyes, that’s for sure! Remember the trending emo hairstyles from back in 2019 or earlier? This is it. Toddlers to young kids – all should look cute in a well done emo hairstyle. Fades are like the best add-on to your ala carte haircuts. This fine addition adds class to your style! What you’re looking at is the progress of making a comb over with low fade, paired with a line up. Most combovers we see are neatly combed down to your scalp. This one isn’t! This one also features a low fade. This one right here is more like a medium fade, and you can see a razor line parting! We love this fade hairstyle for boys. So, we have seen plenty of razor line shaves. What about the patterned ones then? This is most probably what your younger ones might request to get if they are huge fans of Spiderman. Batman or Superman? Can’t decide? Just get both! Whoever it is that wears this style will be sure to get lots of attention. You can create very unique razor line patterns when you mix them with fades. Try it out in various shapes, forms & fade styles! Show some love for curly hairstyles! Here’s several ways you can keep your curly short hairstyles. For easy maintenance, keep your hair cut really short, just enough to cover your scalp. If you want a little more care for your hairstyle, just ask for a neat line-up! You can shave off the sides to a bald fade, and keep the lengthy ends in the middle dyed! As your hair grows out, the dyed colors will stay for a contrasted look. African American kids will look better in this type of hairstyles. You’re looking at a high fade and a really sharp-looking hairline paired with a curved razor line. This style can look good even with really short cuts! Sometimes, all that we need is a good back-to-basic look – crew cuts! There are usually no issues when you are requesting for this crew cut style at the hair salon. Just ask for a trim and this is the look that you can get! Is the classic crew cut too boring for you? Get the ends dyed for added dramatic effect! Brighter colors such as blue or light blonde tends to bring out the contrast more. This is probably about a length of 2 or 3 at max. It’s not too short – just a comfortable length so that the child does not appear too bald. Ideal for most! Let’s finish off our article today with another classic haircut style – comb overs. These are one of the most common styles that you see among people who want to keep it stylish but don’t want to put in too much effort. Okay, this might not be the classic comb-over. But it sure does give the illusion! By using a razor line, you are creating an illusion of a hair parting & a comb over for the lengthy bits at the top. 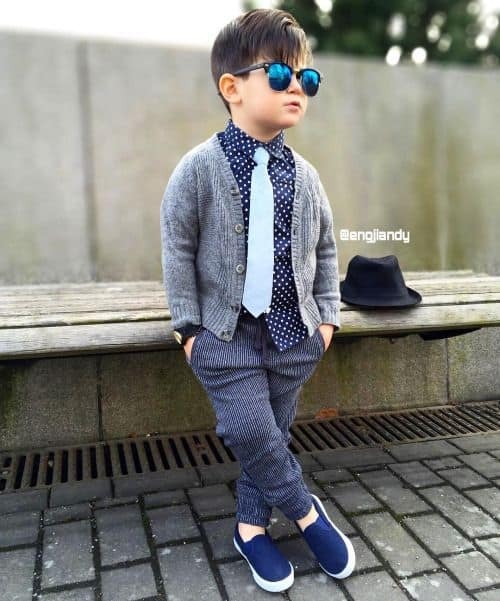 This look which is well suited for more mature looks can make anyone look reliable & responsible – even a young kid! You also will not need to keep your hair really long for this haircut style either. Sport your comb-over with a tapered side and some good clothes & a sunglasses – that’s how you get the trendy look! This might require a fringe that’s grown out a little bit more. Oh, where do we start? Let’s just compare how easy and cheap hair maintenance is for men as compared to women – typically with longer hair – to start with. Here are some other benefits of keeping short hair for boys. Longer hair – more hair products needed. You might think that the few centimeters of hair wouldn’t matter, but it does – greatly! Shampoo and conditioners aside, longer hair could require a lot more hairstylist visits. This is because more skills are required to style longer, thicker hair. At the same time, split ends tend to happen more as your hair grows longer. This would mean more hair salon visits for trims! Meanwhile, for short hair, it’s a lot easier to maintain and take care of in comparison. Young boys are a lot more active than adult men. They run around, play sports all day, and who knows what else? Longer hair would trap more sweat, dust and grime between hair strands, which is certainly quite nasty and can bring around some bad odors if they continue to go about their day after those activities without cleaning up! Shorter hair traps less of these dirts, and can be cleaned fairly easily. Long hairstyles on small boys can easily be stereotyped as a gloomy look. Short hair can instantly give an energetic appearance to these small boys, and understandably so! These hairstyles help to frame their faces in a way that shows the young happy glow that only the younger ones seem to be able to possess. Depending on the hairstyle you have for your kid or teen, these short haircuts can be maintained in different ways. However, usually, younger boys have excellent hair quality without needing to care for them much, so it’s best not to use hair products that are too strong. Short hairstyles can be styled with comb overs, crew cuts, simply swept back or styled with a little hair gel. You can refer to our list below for several hairstyles that you can try. Short haircuts will need some maintenance, especially for boys whose hair grows quickly. Regardless of which hairstyle you are keeping with your short haircut, you are bound to require a haircut here and there – at least once a month to keep your hair in good form. After all, haircuts can get rid of split ends and that will keep your hair healthy as well. Short haircuts can be really charming for younger boys and adults alike! 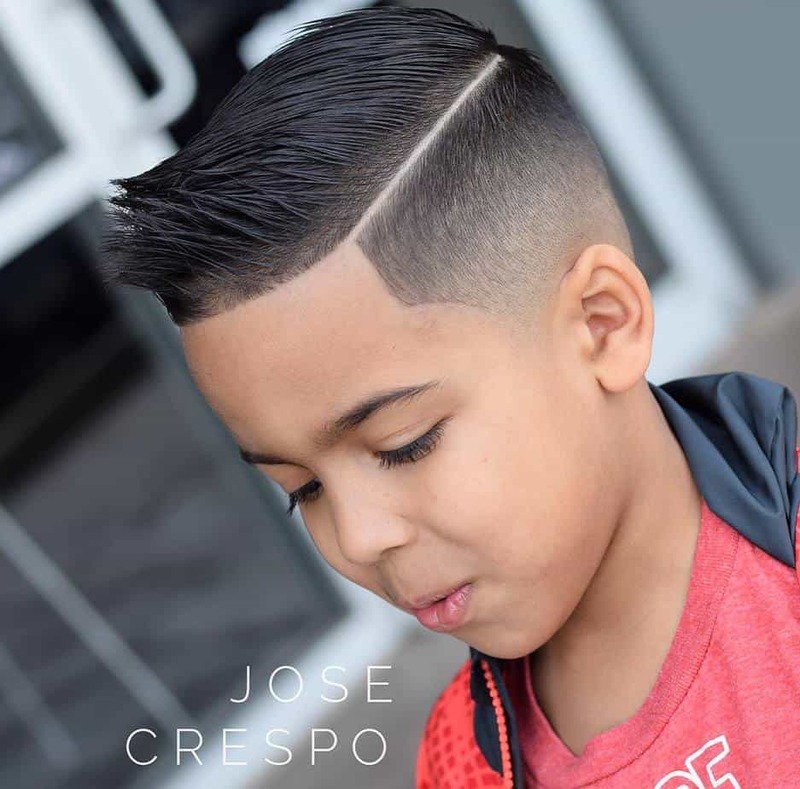 When you are deciding which haircut to get for younger children, you can keep in mind that these are some of the hairstyles that you can consider. If you’re not sure how to tell your hairstylist about the haircut style that you’re looking for, show them a photo from this list!